The Global Burden of Disease Study, the largest analysis of risk factors for death and disease in history, calculated that not eating enough nuts and seeds was the third-leading dietary risk factor for death and disability in the world, killing more people than processed meat consumption. Insufficient nut and seed intake is thought to lead to the deaths of millions of people every year, 15 times more than all those who die from overdoses of heroin, crack cocaine, and all other illicit drugs combined. Major studies have shown that people who eat nuts appear to suffer fewer deaths from cancer, heart disease, and respiratory disease, as well as may live longer. Indeed, our life span may be increased by an extra two years by eating nuts regularly—one handful (or about a quarter of a cup) five or more days a week. PREDIMED, one of the largest interventional dietary trials ever performed, followed more than seven thousand men and women at high cardiovascular risk randomized into different diet groups. One group received a free half pound of nuts every week for four consecutive years. Compared with other groups, the added-nuts group appeared to cut their stroke risk in half. If this works as well in the general population, eighty-nine thousand strokes a year would be prevented in the United States alone. That would be like ten strokes an hour, around the clock, prevented simply by adding about four walnuts, almonds, and hazelnuts to the nation’s daily diet. Regardless of which group participants were assigned to, those eating more nuts each day had a significantly lower risk of dying prematurely overall. In my Daily Dozen, I recommend a daily serving of either ¼ cup nuts or seeds, or 2 tablespoons of nut or seed butter. Of all the components of a healthy Mediterranean diet, which are associated with a longer lifespan? Within hours the blood of those fed walnuts is able to suppress the growth of breast cancer cells in a petri dish. Which nut might work best, though—almonds, Brazil nuts, cashews, hazelnuts, macadamias, peanuts, pecans, pine nuts, pistachios, or walnuts? Not eating walnuts may double our risk of dying from heart disease (compared to at least one serving a week)—perhaps because nuts appear to improve endothelial function, allowing our arteries to better relax normally. An update on the healthfulness of nut consumption, and whether the cardiovascular benefits extend to peanut butter. 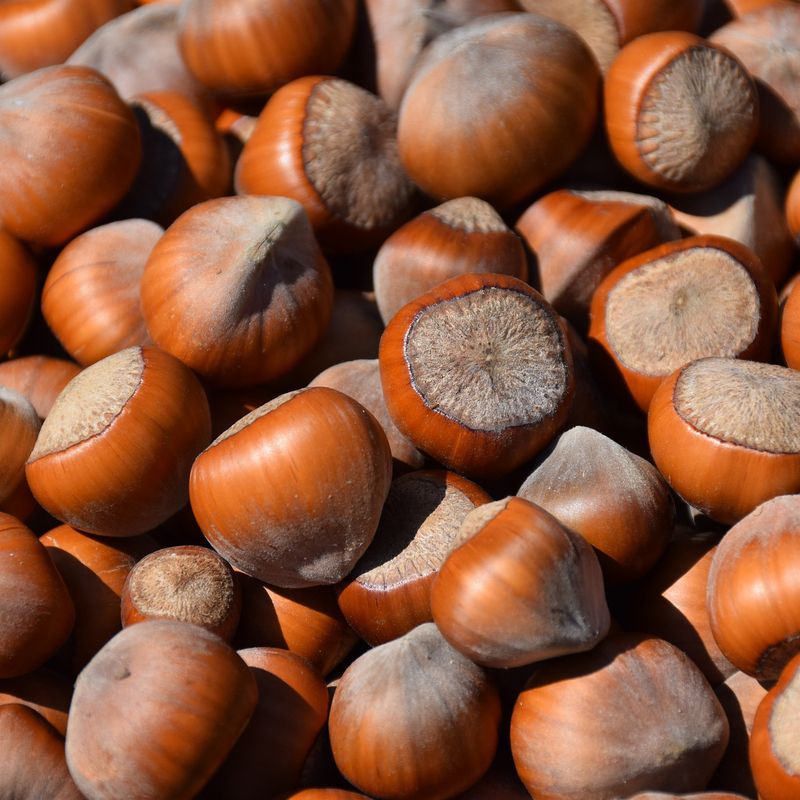 Which type of nut has the highest antioxidant content?